Hola Lexicans! Ahh, my blogging is really going to downhill, I need to post more regularly! :( Anyway, today I'm going to be doing a book review of the story The One Memory of Flora Banks. 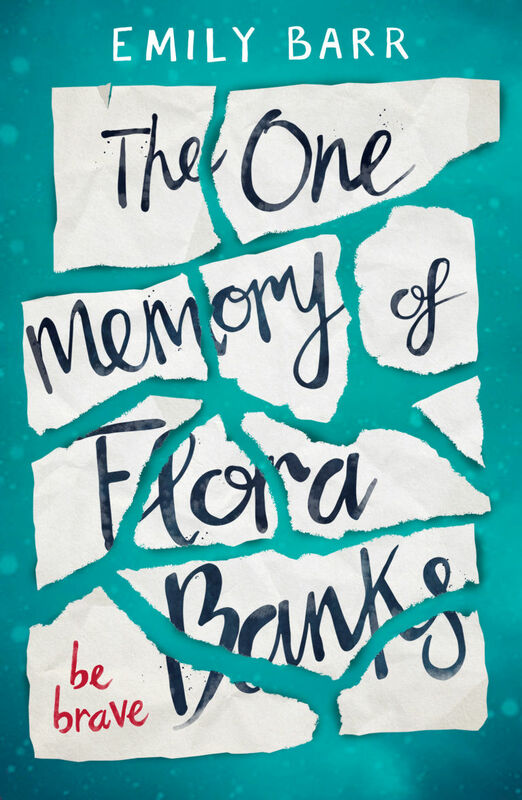 The One Memory of Flora Banks tells the story of teenager Flora, who as a 12 year old lost her memory in a car accident. This accident caused her to forget new information given to her, within a couple of hours, therefore making this idea of 'normal life' to her. And then suddenly, Flora kisses a boy on the beach. And remembers every minute of it. But this boy is moving miles away, and as her parents away are leaving her, Flora sees the opportunity to get on a plane and visit him. Except when you've lost your memory it isn't that easy. Now I got this book through NetGalley* because I got an automated email from them. This email had a letter from one of the characters (Flora's mum) and at the end, they circled it and wrote 'Do You Think She Should Trust 'Mum'? so from that I assumed it was all about identity and mystery. Actually, it turned out to be more of a romance story (one my least favourite genres) which was rather disappointing. I found that the book was extremely repetitive, which although that is because it makes the book more realistic and effective, I feel like it was overly repetitive, to the point where it could even be described as boring. I also found the main character Flora and what she did, really irritating, because her choices were stupid and she missed little things. As well as just her, what happened surrounding her was also just so annoying to me. Of course, this couldn't be helped, and was what you'd expect if one lost their memory, but it just felt like an itch that you just can't scratch. However, all that being said, the book was actually quite good, if you were expecting and like romance books. There were a few nice plot twists half way through which I didn't seem coming (always a great thing in a book and for me pretty much essential to make sure that I like the book, I do love a good old unexpected plot twist or two). Overall I personally found this book very disappointing, particularly as lots of other book bloggers have really hyped it up, but I think it may be found enjoyable if you like romance books, or just want to step out of your comfort zone once in a while. This book is being released January 20th. *Netgalley.com is a super cool website for book bloggers. You just create a profile with your blog, and then you can request to read books for free on a Kindle, sometimes even before they release. I have discovered some real gems through Netgalley.com, a lot of which turned out to be bestselling books. Wow you're really good at blogging!I've been reading them for a while and it's really cool. I've been thinking about starting my own blog next summer, since I'm turning 11 in January!Blogging sounds super cool, but I DON'T KNOW THE FIRST THING ABOUT IT!!!!!!!! D you have any tips?! Also what are some of your favorite books? And which would you prefer, Harry Potter or Percy Jackson? (Percy Jackson for me) Can't wait for your reply! Heyy! It's great to hear you're thinking of setting up a blog:) I was definitely nervous too when I set oen up, but there's absolutely no reason to be. I've never thought for one minute that I regret starting a blog, in all my 3 years of doing it! And this might sound bad, but I've NEVER read either book ahah. I'm such a bookworm yet I haven't read what is classed by a lot of people as two of the top greatest books! If you could maybe reply back with your email, we could chat there, and I can really help you out with starting a blog. You're so good at blogging! I've been reading your blogs, and they're super cool! I've been thinking if I should start to blog too, but I'm nervous. Maybe next summer since I'm turning 11 in January. BUT I DON'T KNOW THE FIRST THING ABOUT BLOGGING!!!!!! Any advice?! Can't wait for your reply!